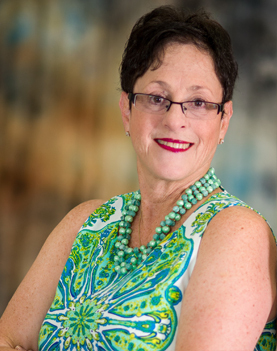 Karen M. Riscinto of Florida Lifestyle Realty Group Inc.: Lake County's full service real estate pro is a REALTOR who is familiar with Lake County area market conditions, property rules, Lake County schools, etc. I've helped many families purchase and sell in Lake and Orange County since 2007, and I'm ready to help you today. I am not limited to Lake County, Florida. I can sell throughout the State of Florida. Whether you're buying, selling, investing, renting or need property management; you'll need a professional agent who understands the market, the latest marketing and technology trends, and how to apply it to a real estate transaction. 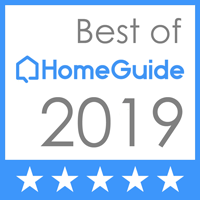 You'll love the resources available here such as mortgage calculators, our listings, tips for staging your home and much more - plus the e-mail alerts that I send. But these will never replace the time I spend in person with you, serving as your personal guide through this exciting process. If you have any questions regarding real estate in Lake or Orange County, don't hesitate to contact me today! Living large in Lake County. Karen M. Riscinto was featured on HGTV - Lake Front Bargain Hunt helping Robin and her three children who have loved living in Lake County, FL for over 20 years. Their small home in the historic district of Eustis was bursting at the beams. With over 1,400 lakes to choose from, this water sports mecca is the perfect place to find a big home with an even bigger view. With the help of their friend and real estate agent, Karen M. Riscinto, Robin and her kids chose the perfect lakefront home for under $275,000. 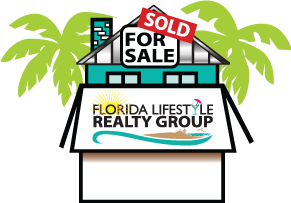 My fiance and I were shopping for a home in the Mount Dora area and after trying to find homes on our own, we decided to look for a realtor. We saw Karen's signage near our rental property and decided to give her a call. Not only did she meet with us that same day, but she listened to our needs and pulled some listings right then and there. The same day, she found the home we were looking for and set up a viewing within the same hour. This home ended up being our perfect find! Karen has great contacts in the community not only in real estate but also contractors, landscapers, lenders, etc. Her expertise, industry knowledge and professionalism are beyond compare. She wasn't just a realtor to us, she walked us through the entire process and made sure that we were being taken care of. She treated us like family, not like clients or a number. If you are looking for someone who is trustworthy, straightforward and doesn't beat around the bush, Karen is your realtor! You will not regret working with her! We moved from Maine to Florida in November 2015. Although we planned to rent, Karen showed us how much less mortgage payments would be compared to rental payments plus security deposits for pets. With a new job working from Ocala in the west to Orlando in the east, I was looking for something central to these areas. Karen knows the area well and showed the perfect home for us in Mount Dora-- a small home on a large lot in a great neighborhood and easy commuting. Karen does property management, too. When we get to the point of going back to our Maine home for the summer, we will have Karen look after our Florida home. I admire her professionalism and hard work. We wanted to sell our property, and found Karen on Zillow. She had great reviews, so we decided to give it a shot. Karen, is VERY prompt. Any call, text, email is always answered within 24 hours. We've worked with dozens of agents/realtors before, and she's definitely an exceptional one. We had several issues with the previous contractor that did a horrible job. Karen provided her own contacts, supervised the work, and made sure the house was 100% ready for sale. She really treated the house like it was her own. Due to several complications (such as former bad contractor and unique layout of the house - none of which were Karen's responsibility or her fault), selling of the house took longer than we had initially expected. Karen was there all the way, updating, sharing information, thinking of ways to speed the process, and relieving stress. At the end of the day, the property was sold for a price we were happy with. Thank you, Karen! I can't thank Karen enough for all that she has done for me. She has gone over and above to help me get into my house. Trying to find that perfect house is hard and she understands that everyone has their individual need/wants. She always answers her calls and if she can't take the call at that exact moment she calls back promptly. You will always feel like you are top priority with Karen. Excellent realtor and a genuinely honest person. This is so hard to find these days. Karen did a phenomenal job helping us find our home. She was very honest and you could tell she genuinely cares about the quality of the homes we were looking at. We would highly recommend her! Even though she didn't show us the home, Karen had the offer papers ready for when we got back from vacation. She was very quick to get the home inspected. We were able to push up our closing date by a month because of how efficient she was at getting things over to us (we moved from Maryland to Florida) so most was online.